Daniel Coats, director of National Intelligence, arrives for a Senate hearing on worldwide threats January 29, 2019 in Washington D.C.
U.S. intelligence agencies believe North Korea is unlikely to give up its nuclear weapons because "its leaders ultimately view nuclear weapons as critical to regime survival," Dan Coats, the director of national intelligence, told the Senate intelligence committee on Tuesday. That view contrasts with comments from President Donald Trump, who in June declared that North Korea was "no longer a nuclear threat," citing his talks with leader Kim Jong Un, NBC News reported. 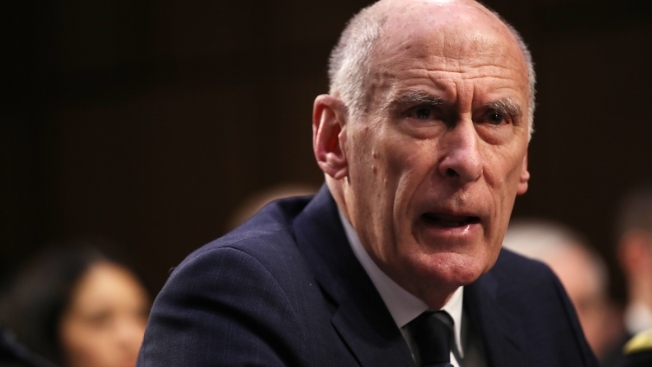 Coats also refuted Trump's statement that ISIS has been defeated. He said the group was "nearing" military defeat in Iraq, but has returned to its "guerrilla warfare roots," continues to plot attacks and "still commands thousands of fighters in Iraq and Syria." On election meddling, the annual public survey of national security threats found that U.S. intelligence agencies assess that Russia and China will seek to interfere in the 2020 presidential election, having learned lessons from Russia's operation in 2016.